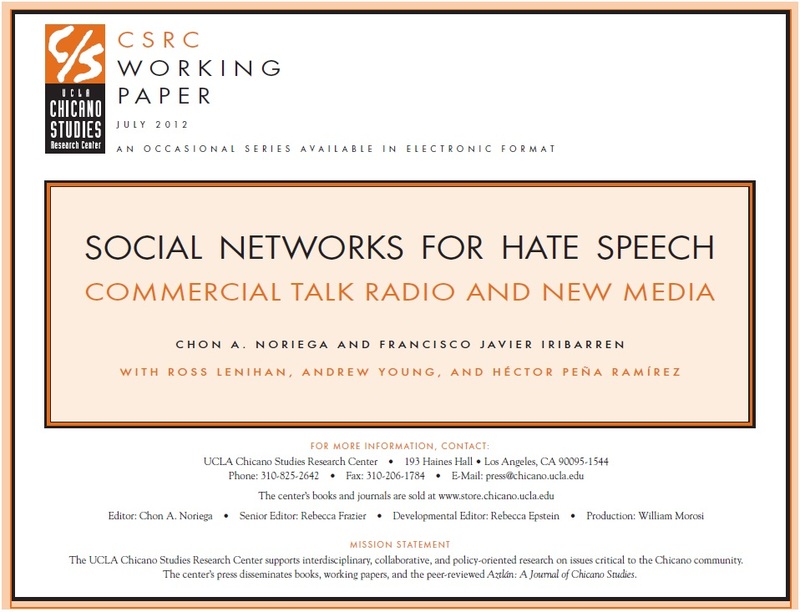 This study analyzes how social networks that form around the hosts of commercial talk radio shows can propagate messages targeting vulnerable groups. Working with recorded broadcasts from five shows gathered over a six-week period, involving 103 scheduled guests and covering 88 topics, researchers determined hosts' and guests' ideological alignment on the topics discussed most frequently-including immigration and terrorism- through a content analysis of on-air statements and website content. The findings reveal that the hosts promoted an insular discourse that focused on, for example, anti-immigration, anti-Islam, and pro-Tea Party positions and that this discourse found repetition and amplification through social media. Of the 21 guests who appeared more that once, media personalities (57 percent) and political figures (19 percent) accounted for 76 percent. Political figures accounted for 27 percent of all guests, and the Republican Party and the Tea Party accounted for 93 percent and 89 percent, respectively, of all political figures appearing on the shows.